Delegating, Analyzing Performance Problems and Planning for Performance Improvement All supervisors experience difficult situations when managing employees. Effective supervisors, however, know what tools to use to turn negatives into positives. This session provides an introduction to the basic laws of performance and a tested model for analyzing performance problems. Attendees also learn how delegation and empowerment can create employee engagement, leading to increased productivity and satisfaction. The Challenge of Leadership The role of the leader has become increasingly complex and difficult. The challenges posed by fierce competition, changing government regulations, and increasing customer expectations are compounded by the difficulties of dealing with a workforce that is more diverse, less loyal, and harder to motivate than at any time in the past. Consequently, traditional approaches to management have given way to coaching and communications- oriented methods. Successful leaders must be able to engage their staff to build an effective, highly motivated, innovative team that delivers results – even during uncertain and changing times. 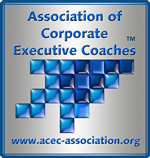 Supervisors and team leaders must master critical leadership techniques to make a successful transition to the roles of coach, teacher, and motivator. This workshop provides insights and tools needed to optimize both individual and unit performance. Participants will also assess their strengths and growth opportunities to create an action plan to improve their competencies. Implementing Organizational Change In today’s workplace change has become the norm, yet individuals and organizations frequently find change to be problematic and disruptive. We see resistance to change as a leading contributor to the failure of change initiatives. Anticipating and planning for these reactions often makes the difference between success and failure. This workshop will focus on the critical success factors for implementing organizational change such as establishing the vision of a change effort, exploring different strategies for dealing with resistance to change, and discussing how to develop an effective communication strategy to plan and implement a change initiative in an organization in the most positive and constructive manner.